If we had to create the perfect fiesta, we certainly would add to flamenco, tapas … and Sangria Carlos Pepito! 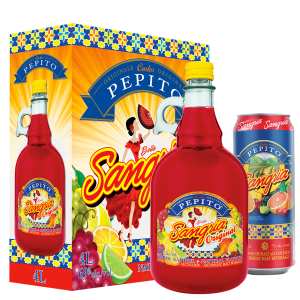 Developed in true Spanish tradition, sangria Carlos Pepito has the distinguished character to get married in your favorite recipes. This is the perfect ingredient for a sunny festive atmosphere rhythms and colors. Because there is nothing like Spain to celebrate life, invite Carlos Pepito to your next party! Available at your supermarket and convenience store in 5 varieties of ready-to-drink.